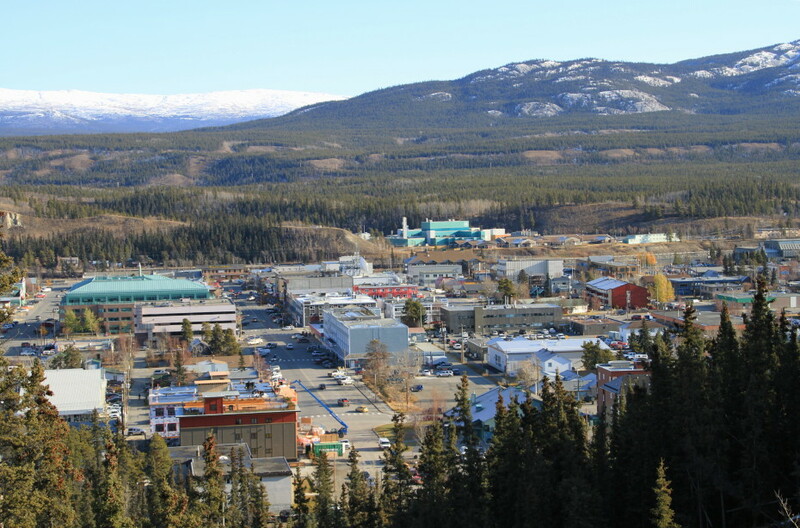 A photo of Whitehorse, the capital city of the Yukon Territory, taken from the top of the "clay cliffs" where the airport is located. This view is down Main Street to the Yukon River and the hospital beyond. This photograph is © 2015 by Murray Lundberg, and is not to be copied without express permission.